Joanne Shields, BT in Africa. Oh data, where art thou? When it comes to enterprise mobility, the research is both plentiful and insightful. From IBM comes 71% and 63% - the percentages that reflect the number of organisations that place enterprise mobility as a top priority and that believe it delivers a crucial competitive edge respectively. TechSci Research has predicted that it's anticipated to grow at CAGR 18%, and Global Industry Analysts have said that the global market for enterprise mobility is projected to reach $50.7 billion by 2020. It's a lucrative, trends-driven and sparkly mobile device-strewn landscape. The mobile strategy has been replaced by the enterprise-wide digital strategy. The modern workforce is mobile, a fact that many South African organisations have battled to come to terms with. It's not only influencing work habits and attitudes, and how organisations attract and retain talent, but the ever-increasing volume of devices makes for a complex web of updates, security, access and control that every IT spider is expected to deftly manage. Bring Your Own Device (BYOD) continues to dominate the enterprise mobility trends landscape as it not only reduces employer costs, but is seen as an attractive benefit to the employee. Cisco reported a 33% increase in employee satisfaction when it introduced BYOD and an increase in talent attraction and retention. Unfortunately, there is a dark side to BYOD, the one where it introduces vulnerabilities such as data leaks, malware and the loss of valuable intellectual property. This often sees organisations clamp down and close doors, preventing the employee from accessing or using their devices at work. This then scratches the underbelly itch as employees opt into SYOD (Smuggle Your Own Device) to gain access to their preferred tools and technologies. According to Juniper Networks, 41% of employees who use their own devices at work do so without permission. SYOD is the head of the hydra that rears up when BYOD is banned or absent, and Ovum has found that almost 21% of employees' access corporate data in defiance of an anti-BYOD policy. Businesses will relook and reshape their security protocols and policies to ensure they are able to drive mobility, but ensure the security of the network. These are not the only trends impacting on enterprise mobility. The Internet of Things (IoT) is steadily growing in reach and impact, with more than 30 billion connected devices anticipated by 2030. The evolution of device capability serves only to drive the exponential growth of IoT and this is further impacted by machine learning and the influence of artificial intelligence (AI). AI could very likely transform how multiple devices are connected across multiple locations and individuals within a secure network that's capable of learning and evolving. The leaps made in mobility for the enterprise further impact the development of networks that learn, systems that adapt and security by design. Flashy or glitzy application front-ends mean very little when they are not supported by back-end integration. Organisations need infrastructure that will help them meet the demands of the mobile workforce, the need for an always-on environment and the challenges of security, connectivity and control. Whether business faces the rigours of BYOD or SYOD, IoT or AI, it needs a robust mobile strategy that provides the framework for consuming these and future digital technologies. It needs an elegant and agile platform that can integrate and adapt and cater for emerging technologies tomorrow without losing sight of today. Brainstorm: What tools and technologies should be on every enterprise wish list when it comes to optimising enterprise mobility? Alexei Parfentiev, analyst, SearchInform: To control BYOD remotely, configure a remote virtual network environment for employees. The personal device will see nothing more than a remote terminal. Information cannot be transferred to the device and secure corporate communication channels are the only way employees can access the files. Julie Tregurtha, head of database & data management, SAP Africa: The mobile strategy has been replaced by the enterprise-wide digital strategy. This demands cloud-first, mobile-first by definition, but also extends beyond mobile to new emerging technologies such as IoT, machine learning and AI. Brendan McAravey, country manager at Citrix South Africa: To support the new workspace, IT needs the ability to manage and inventory all device types, including mobile, laptops and desktops through a single management platform. This can be achieved through a unified endpoint management solution. Joanne Shields, MD, BT in Africa: When designing their own mobile adoption strategy, businesses should be mindful that mobility must centre on the coming together of people, process and technology in new ways, resulting in fundamental changes in people, teams, business structures and even products/services - for better business results. Ronald Ravel, director, B2B South Africa at Toshiba South Africa: In enterprise environments, virtualisation is a key trend. The computing power is on the server side, making computing power for large enterprises scalable and more controllable. To make mobility safer for enterprises that use virtualisation in combination with mobile thin client that still contain an operating system, a key trend is the introduction of Mobile Zero Clients. Brainstorm: What enterprise mobility trend is having the biggest impact on the South African organisation? Kerry Hope, business development manager, Magic Software: IoT - the ability to connect things efficiently at a global scale is allowing small specialist businesses to become more viable. Riaan Graham, director, sales, Sub-Saharan Africa, Ruckus Networks: With 88 million unique mobile subscriptions, businesses worry about protecting their intellectual property as employees bring their own devices to work, thus putting the business at risk. Access remains key - ensuring a secure and seamless onboarding process for any new device gaining access to the network has become critical to enterprise mobility. Businesses will relook and reshape their security protocols and policies to ensure they are able to drive mobility, but ensure the security of the network. Robin Olivier, MD at Digicape: With increased mobility comes a greater need for security. This is already having a huge impact on South African businesses and we're seeing the testing and trials of new systems that aim to protect data, without compromising mobility. Company information protection policies and systems need to be updated, in line with this changing landscape. Stringent security procedures (i.e. for lost/stolen devices and potential ramifications) need to be clearly communicated to employees. Brendan McAravey, country manager at Citrix South Africa: In the past, South Africa faced a cloud lag, where the uptake by South African business had been behind global counterparts. However, a recent study that was conducted by IPSOS and commissioned by Citrix suggests that this is changing. The study around the impact of technology on South Africa's key economic sectors shows that the current 51% of cloud users in South Africa will increase by a further 18% in the next three to five years. Jeremy Matthews, regional manager, Panda Security: BYOD and IoT are major drivers of enterprise mobility - the gap between what devices people are using in a personal capacity and how that translates to their work life is getting smaller. Increasingly, employees are more willing to use their personal devices at work, in order to stay connected and work more efficiently. Brainstorm: What should the enterprise be aware of before leaping onto a new solution, technology or enterprise mobility strategy? Alexei Parfentiev, analyst, SearchInform: Examine business processes and divide the possible risks into categories. Risks can be caused by technology issues or human factors. Why? The company can use the most modern protection tools and solutions for access control, but it will still be powerless if a disgruntled employee decides to teach it a lesson. 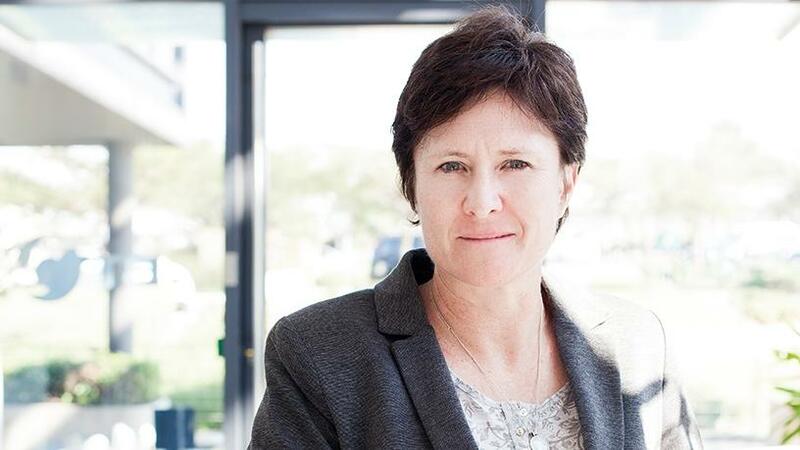 Julie Tregurtha, head of database & data management, SAP Africa: Whether BYOD or SYOD, a company needs to have a robust enterprise security and management solution in place to prevent rogue devices having access to corporate information. Craig Nel, East, Africa and Turkey cloud platform leader, Oracle: Integration, in my opinion, remains the biggest challenge for enterprise mobility. Flashy or glitzy application front-ends mean very little when they are not supported by back-end integration that provides the real value-added services. Therefore, an enterprise mobile platform that provides the best and most comprehensive integration capabilities and built-in services should be on every enterprise wish list. This article was first published in the June 2018 edition of ITWeb Brainstorm magazine. To read more, go to the Brainstorm website.